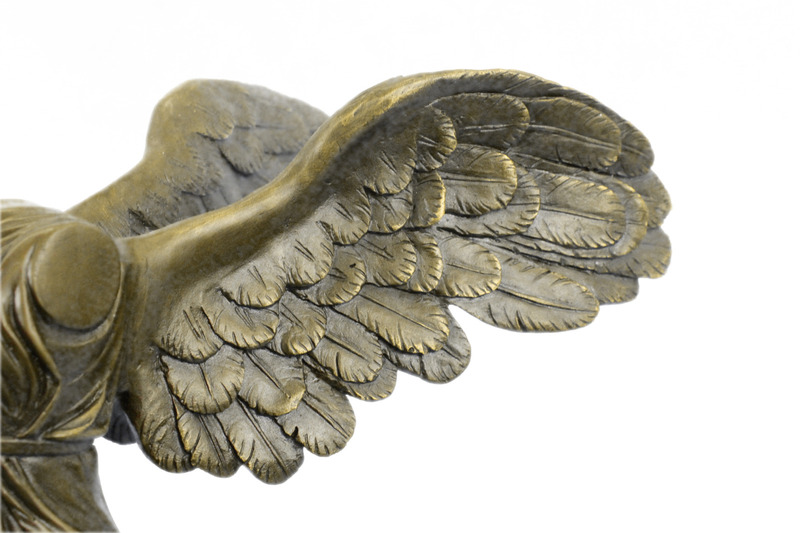 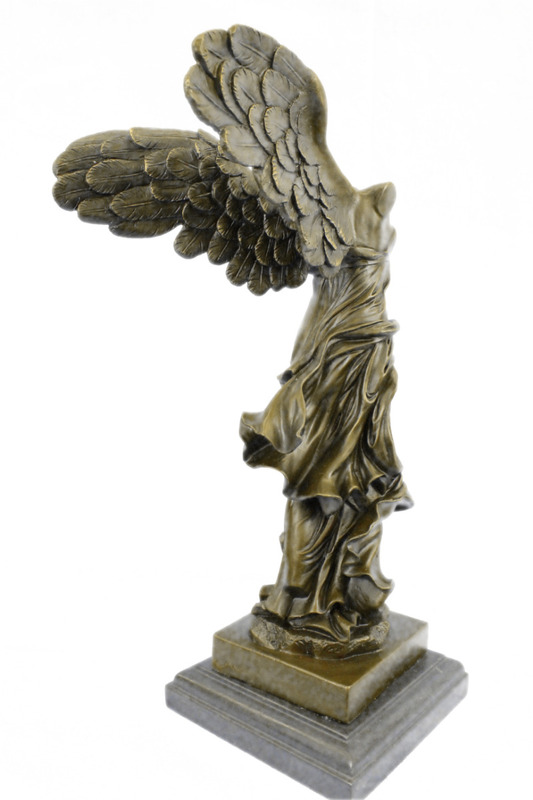 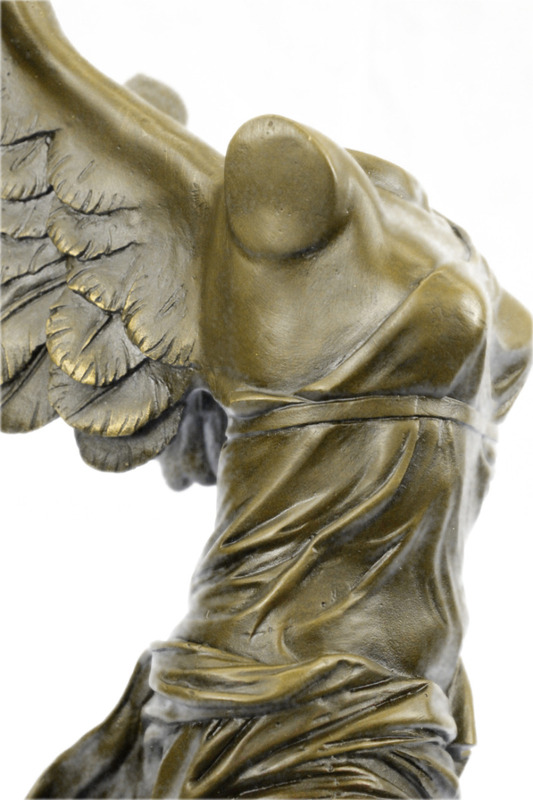 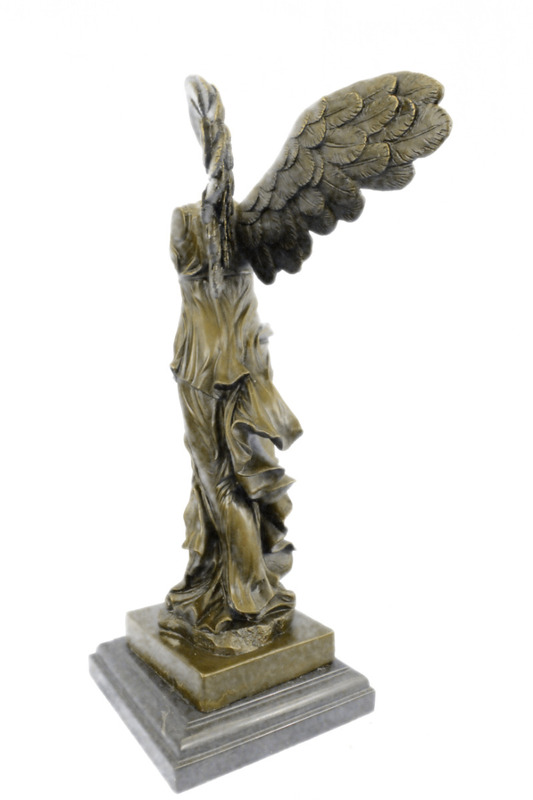 This Replica Casted In Bronze Is Of The The Winged Nike Of Samothrace, One Of The Most Important And Beautiful Surviving Masterpieces Of Antiquity.The Original Marble Statue Of The Winged Nike Of Samothrace (Nike Of Samothrace) Was Uncovered On The Island Of Samothrace By French Consul And Amateur Archaeologist Charles Champoiseau In 1863 .In Greek Mythology, Nike, Also Known As The Winged Goddess Of Victory, Bestowed Triumph, Both In War And In Contest. 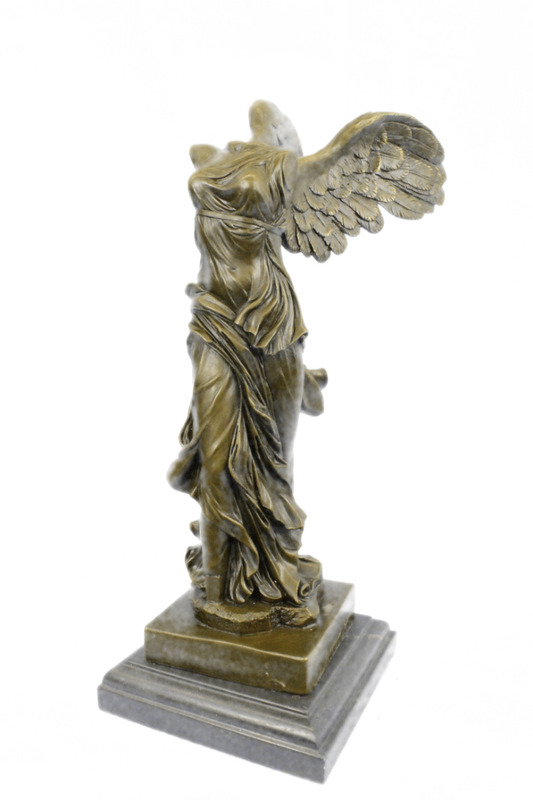 As A War Goddess She Was Often Represented Standing Along Side Zeus, Athena And Ares. 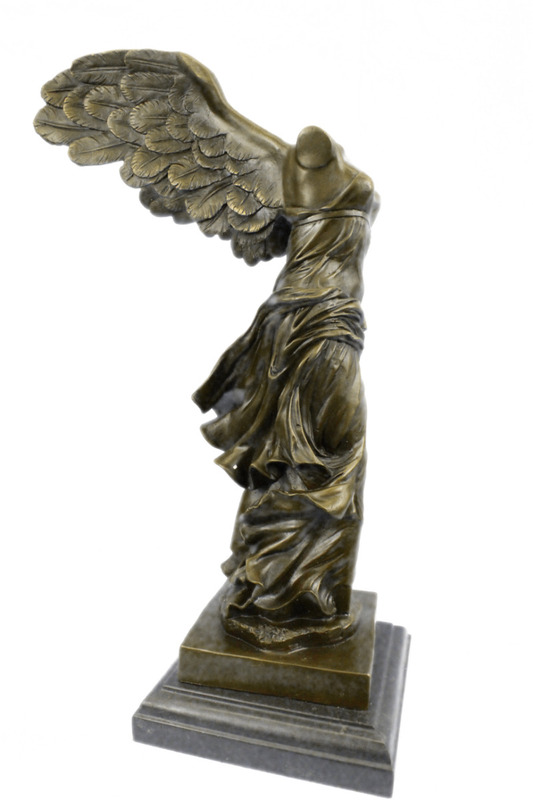 As Goddess Of Contests, She Typically Is Portrayed Adorning The Winner With A Victor'S Wreath And/Or Sash.The Statue Of Nike Is One Of The Greatest Surviving Sculpture Masterpieces Of The Hellenistic Period, Even Though It Is Significantly Damaged; Most Significantly Missing Its Head And Outstretched Arms. 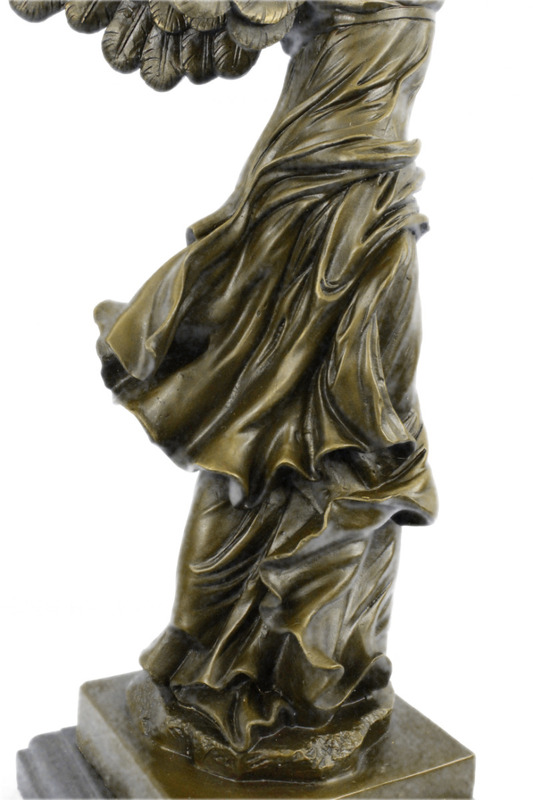 Created By An Unknown Sculptor (Rhodian In Origin), The Piece Is Dated Between Period 220-190 Bce. 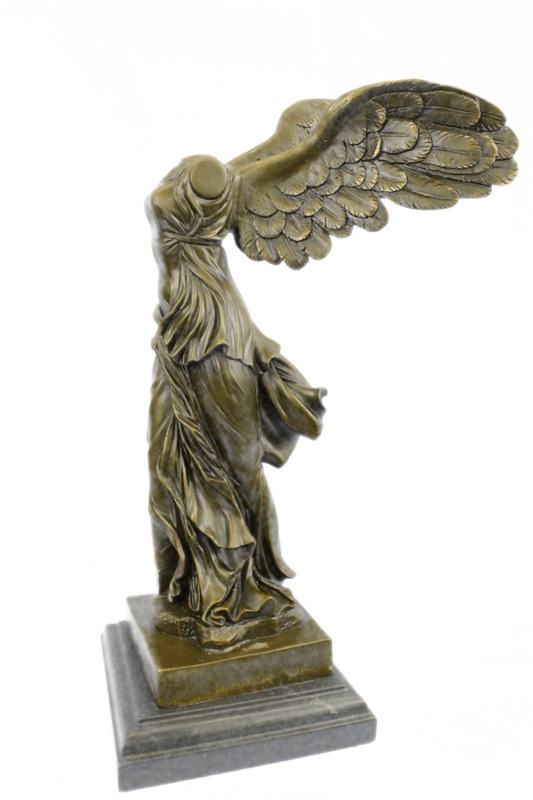 This Archaic Duplicate Can Now Be Enjoyed On A Daily Basis For Anyone Enchanted By This Celebrated Mastery Or With Greek Mythology. 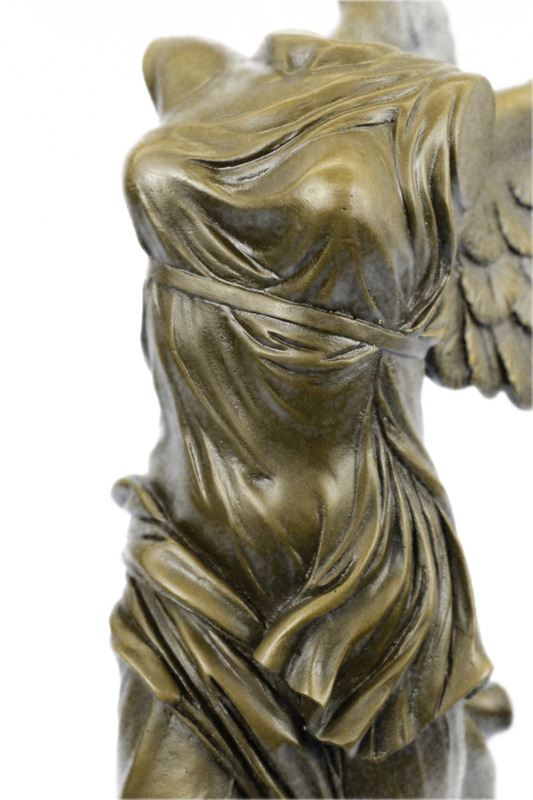 The Goddess Was Cast To The Original Likeness Using The Lost-Wax Method And Stained With A Brown Patina Finish. 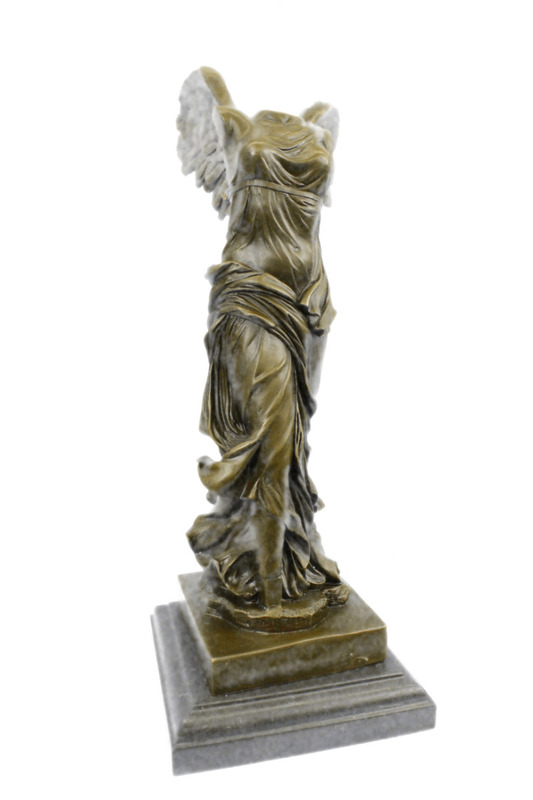 She Eternally Stands Upon A Black Marble Base.